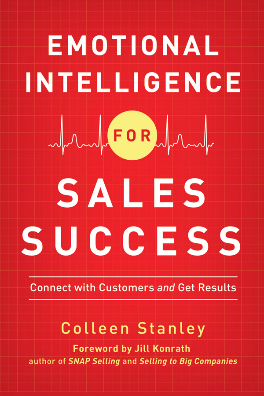 Summer Is Here…What Are You Reading that Will Help You (and your entire sales team) Sell More? June is here…that means long days and daylight after work, vacations, and time to learn! 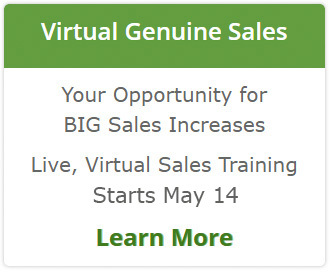 Top performing sales people are always learning, is that you? Wondering what books will be worth your time? 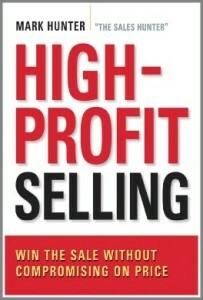 We’ve compiled a list of books that will help you and your sales team SELL more. It’s the 2015 Summer Sales Reading List. This is the the 3rd in our series of sales books that are sure to give you tips, tricks, and tools to reach more prospects, build relationships and cross sell opportunities with current customers, and be more effective all around! Many of the links will take you directly to Amazon. But don’t stop there – check out the book and author websites, many of the authors (including me) have freebies and additional resources at their website. Consider it a summertime treasure hunt—the treasure are more sales! 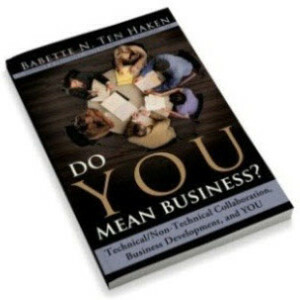 Check back tomorrow for Part 4 of the Summer Reading List for sales and sales management. Part 1 of the list can be found here: Summer Sales Reading List 2015 – Part 1. Part 2 of the list can be found here: Summer Sales Reading List 2015 – Part 2. 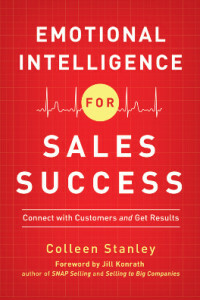 The Summer Sales Reading List – All Star Book Resources by Sales Pro Insider, Inc. The book is a deep dive Playbook into what it takes to become a complete Business Person of Worth in today’s competitive sales environment. If you are leaving dollars on the table because you are avoiding selling to technical decision makers, this is a must-read. Includes Bonus Collaboration Tools at the end of each chapter. In these 25+ pages, readers will be given the right tools and knowledge necessary to compose solid emails that will break through the delete barrier and achieve real results with prospects. Learn how to target the right contact, perfect your message, write mind-catching emails, follow-up once you’ve started communication, and much more. People who have downloaded and used this ebook have seen up to 62% email response rates and same day replies. 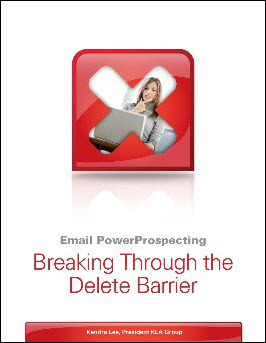 The secrets to powering through your email prospecting problems begin on page 1! Are emotions running your sales meetings rather than effective sales, influence and communication skills? Learn how to leverage the power of emotional intelligence to close more business at the right margins. Customer-supplier relationships are global, complex and interdependent. The skills you used to negotiate yesterday’s contracts simply will not work to negotiate tomorrow’s deal. 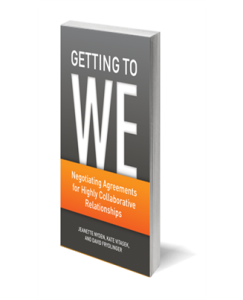 Getting to We will give you the tools you need to negotiate successful strategic partnerships. A timeless fable for anyone who finds the rejections they encounter in their sales career a challenge. 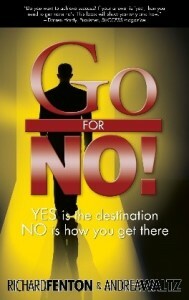 With plenty of books on ‘getting to yes’ this short easy read about how to harness the power of ‘no’ can change the way you think, sell, and live. Too many salespeople resort to discounting every time they want to close a sale. There is a better way! In this book, discover the specific techniques to build value, maximize price and protect profits. Years of community service teaching job seekers how to sell themselves and their success stories after the fact, motivated the writing of this book. 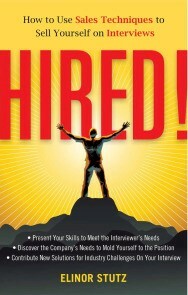 Interviewing parallels the process of making a sale; used correctly, job seekers more quickly hear, HIRED! Honesty Sells gives readers a proven system-and an honest one-for getting around gatekeepers and objections, increasing customer responsiveness, closing sales faster and more often, getting honest answers from clients and prospects, and troubleshooting problems before they scuttle big sales or important projects. 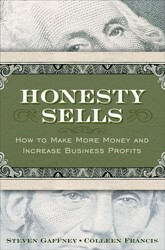 For anyone who wants to sell more, sell better, and sell more honestly, Honesty Sells is the perfect straight-talking guide to sales success. Research from a variety of sources, including RAIN Group, has confirmed a simple fact: Buyers buy from sellers who are sources of ideas. So now everyone’s trying to do it. But the cold reality is that most sellers don’t bring new and valuable ideas to the table. In fact, only 39% of executives say that meetings with salespeople are valuable and live up to expectations. 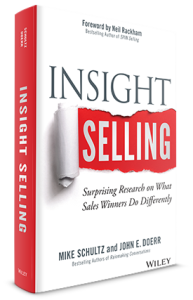 In Insight Selling, bestselling authors Mike Schultz and John Doerr share what you need to do to provide real value to buyers, strengthen relationships, and win more sales. 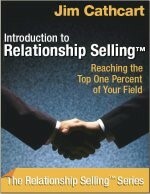 Relationship Selling is more than mindset or being nice to people. It is a proven system for managing communications and connections as assets. Learn the fundamentals of each of the 8 competencies essential to Relationship Selling, from the original author of the concept Jim Cathcart, CSP, CPAE. This international bestseller has been translated worldwide and this ebook is your easiest route to understanding and mastering this skill-set. Staying motivated with new ideas to sell is so important today. 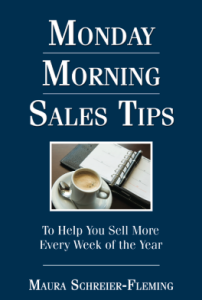 Monday Morning Sales Tips gives you ideas that you can discuss in sales meetings and apply in your selling. You will shorten your sales cycle and sell more by applying these simple ideas to your selling.